Say hello to Cheery the Monster! Isn't she the cutest thing ever! ? And you have the chance to win her pattern for free! Just enter to win on my Denver Whimsy Instagram page where you see this picture posted. To enter, all you have to do is follow me (@denverwhimsy) on Instagram and tag a crafty friend in the comments under this picture. That's it! You are allowed to tag more than one friend for multiple entries into the giveaway. The contest runs through July 13, 2015. Head on over to Instagram and have some fun! P.S. Don't worry if you don't win, I'll be releasing the pattern for sale on Tuesday, July 14 and you'll have the chance to grab it for just $5. I'm feeling pretty victorious right now. 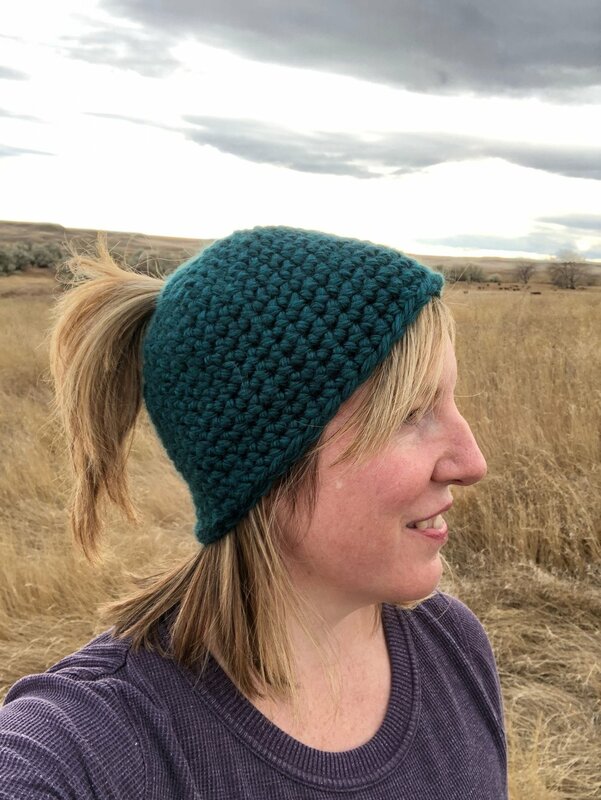 I just posted my 30th crochet pattern in as many days. Every day in April I posted a new crochet pattern! Here are a few facts for you about my 30 day journey. I came up with this idea on March 28. I had 7 beanies crocheted before I started. I had pictures taken and edited of 3 of the 7. I had 0 patterns ready to go. I did not buy any new yarn for this challenge. I worked a full time teaching job as well as after school tutoring while posting a new crochet pattern every day. And I'm damn proud of myself! I honestly can't believe I was organized enough to plan ahead and pull all of this off. A lot of days I was still crocheting the beanie in the morning, photographing it on my lunch break, putting the pictures in the pattern and posting it at night. Whew! So, why did I put myself through this difficult challenge? I wanted to use up some of my stash. I needed practice putting my stuff out there without overthinking everything. I wanted to experiment with the best days/times to post new content. I wanted to have 30 more patterns to post on the web and start bringing in some passive $$! And what were my results? I nearly quadrupled the number of subscribers to my mailing list. I have 100 new Instagram followers. And that's a lot considering I had about 275 when I started the challenge. I have 30 new patterns to post to Etsy, Ravelry and Craftsy. I feel so much more confident! People like my stuff! They really like it! Hooray! So, if you're reading this. I'd love to say thanks by offering you this coupon! Through May 5, 2015, you can use the coupon code 30in30 to get 50% off all of the crochet patterns in my shop. So, if you missed any of the freebies this month, you can grab them at a discount! Also, I'd love to hear from you. Have you ever completed a crochet challenge? Or any similar challenge where you had to do a lot in a short time? I'd love to hear about it in the comments below. Want to crochet something small and handy to hold cotton balls in a convenient place in your bathroom? Now you can! This crocheted cotton ball holder is super fun to make and whips up in just over an hour.